I am fascinated by white animals Not because they are white, but because white animals come to me in my dreams, meditations, and quite literally to my front door! I have dreamt of walking with a white wolf, and dreamt of a white lion, and a white eagle. In my meditations the white wolf reappears, as well as a white hawk. One of the reasons that cultural appropriation is a hard concept to grasp for so many is that Westerners are used to pressing their own culture onto others and taking what they want in return. We tend to think of this as cultural exchange when really, it’s no more an exchange than pressuring your neighbors to adopt your ideals while stealing their family heirlooms. Diabetes is not an evil overlord! It's long and full of good snarky memes, so check it out at the website! Feel free to leave comments! I'd forgotten how to write so the sun blazing across a blue mountain sky picked up a stick dipped in a pristine wilderness and banked ribbons of blue with gnarled fingers. Sturdy browns under an umbrella of geometrical green. A fisherman outnumbered, glancing at moss colored lichen. Daring fish go darting by while I scar the landscape scratching out words. I speak English, not Latin so I don't do spells using any other language than plain English. Nor do I go around saying Wiccan Terms such as "So Mote It Be, Blessed Be, As Above So Below, Merry Meet" etc, etc....I mean why? I don't mind others speaking this way, but I just have no need to. my name is Marie Moonstone, I don't really like using my mundane name. 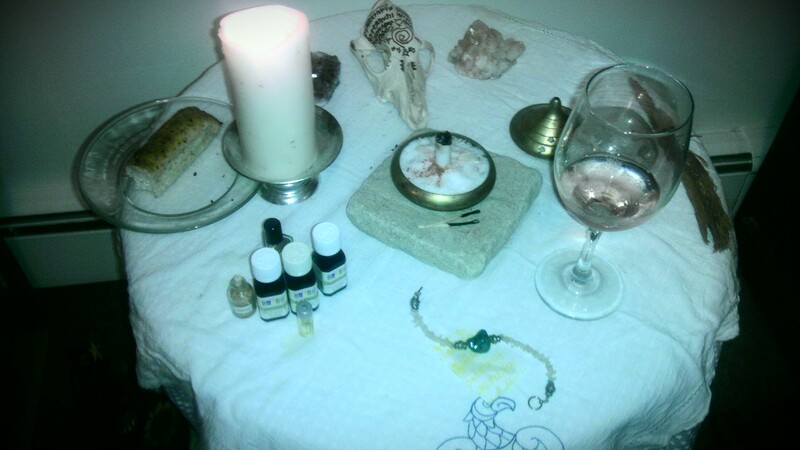 I am 21 years old and am new to being pagan. However I have been drawn to It's magical pull all of my life. Now that I am an adult, married, and my own person, I can walk down this path freely. It's Lammas, or Lughnasadh, the Sabbat where many Wiccans and Pagans celebrate the beginnings of the harvest. This Sabbat is about the cycle of birth, life, death and rebirth -- the grain god dies, but will be reborn again in the spring. Just woke up so a title eludes me for the time being. No real issue seeing as how I don't really have much to say today. Well nothing deep or all that meaningful at least. We'll see about tomorrow but for today how about I just say this. Have a great week. Hope its good to you all the way through. Now must convience myself to get out of this bed and start moving. Until our pathes cross again my friends. Blessings. Sorry for the spelling and gramer flaws in advace, but I have a problel and I wont to see if any one can give me a diffrent look on it. Maby show me something that I mite have missed. So here it is.